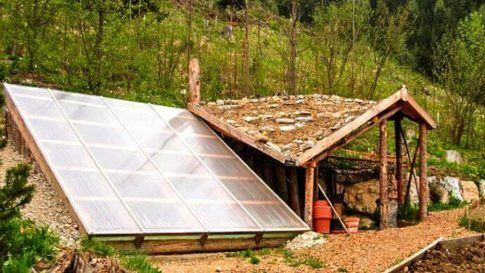 DIY plans, videos, infographic, and info about the Walipini, an underground greenhouse that lets you grow year round. You can build it for less than $300!! Homesteaders, farmers, and backyard gardeners often use various methods to extend the growing season, especially in colder climates. They often use cold frames, hoop houses, black plastic, frost covers, and greenhouses to give their crops a boost or a head start for the coming growing season. They’re also used to hold off the fall frost for a few more days or sometimes weeks. Greenhouses are the largest and most permanent of these structures. They are usually expensive to construct and require a lot of additional heat to extend the season much into the winter.